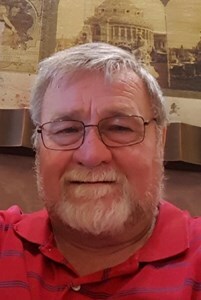 Michael Ray Curry, age 66, of Wentzville, Missouri passed away on Wednesday, March 27, 2019. He was born in Centralia, Illinois on April 21, 1952 to James and Patricia Curry (nee Carrol). He was preceded in death by his wife Rosie in 2018. Michael is survived by his sons; Michael Jason Curry and Justin Curry (Sheila) of Saint Louis, MO, two granddaughters; Savannah and Addison Curry, three sisters; Debbie Souders (Terry), Carla Cohen (Paul Kremer) and Stacy Roddy (Matt), his step-mother Sue Curry and several nieces, nephews and cousins. A Memorial visitation will be held from 2:00 pm until 5:00 pm at Newcomer Cremations, Funerals & Receptions, 837 Mid Rivers Mall Dr. St Peters, MO. To share a memory of Michael or leave a special message for him family, please click the Share Memories button above. Add your memories to the guest book of Michael Curry. I miss you and love you Uncle Mike. May you rest in peace. Michael and Justin, Your dad was a good friend of mine. We got to know each other when we served on the Board for our HOA and it was an instant friendship. I am so sorry for your loss. I know it is so hard to loose both of your parents in one year. Please know that my prayers are for your family as you go through this incredible hardship. I have known Mike and Rosie scince they first met. I was friends with Rosie since about 3rd grade in grade school and loved her like a sister. We spent most of our free time together when we weren't in school. We did many fun things together to leave many happy memories that bring a smile to my face when I look back on our times together. I can't think of one of them without the other, they were a team. I was maid of honor in their wedding and have been fortunate enough to have been able to know their families over those 50 years. All through their marriage they were dedicated to each other with a true love that few people get to experience. I know Mike really missed Rosie when she passed on and now he is with her in heaven to spent all eternity together. They will both be missed and will always be in my thoughts, and heart with happy memories of many fun times together. They are now together in the glory and presence of the Lord. My deepest condolences go to their precious remaining family that will carry on with the happy memories of Rosie and Mike as they live their lives as Rosie and Mike's legacy of a loving family. God bless you all. Mike had a great personality and he was a great guy and family man. He missed Rosie very much this past year. He called to talk almost every day. Then he seemed to be doing better, but then this happened. So sorry. Mike will be greatly misssed. He could always tell funny stories that would make me laugh like crazy.